3D mapping and construction of visualization maps and tools have been around for quite some time. Starting from some military technology from the 90’s on, it has slowly trickled down to a less militant level. 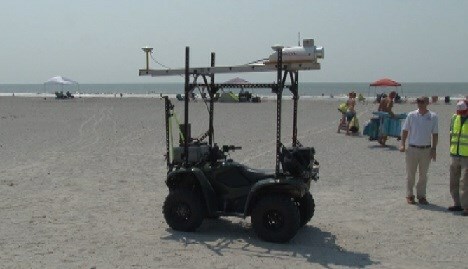 The Army Corp of Engineers have developed a laser-guided tool attached to an ATV to survey the damages, terrain and data of a beach after Hurricane Arthur. Using the same approach as a drone to survey accurate data and images, this laser tracking device was used at great lengths to map 6 miles of coastal beach damaged and corroded geography. After any magnitude of storm, a device like this can be dispatched with relative ease, crossing all sorts of terrain and doing far more legwork in a much more rapid pace the before.